A view from the shore just north west of Rhuvaal lighthouse, looking south east. The lighthouse on the left with some work going on at the roof of the lighthouse keepers cottage. The Paps of Jura in the background, their summits only just below the clouds. 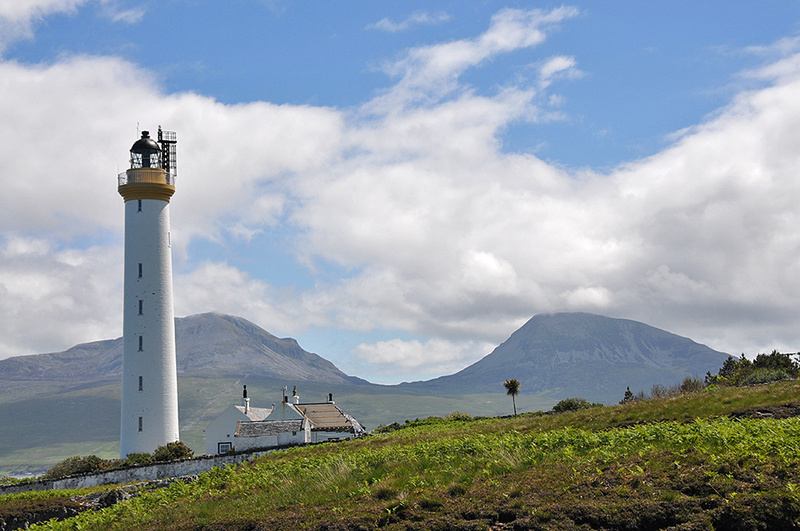 This entry was posted in Cloudy Weather, Landscape, Lighthouses, New Post, Sunny Weather and tagged Islay, Paps of Jura, Rhuvaal by Armin Grewe. Bookmark the permalink.